He was born in what is now Tiruchuli, Tamil Nadu, South India. In 1895 an attraction to the holy hill Arunachala and the 63 Nayanars was aroused in him, and in 1896, at the age of 16, he had a "death-experience" in which he became aware of a "current" or "force" (avesam),[note 2] which he recognised as his true "I" or Self,[web 1][quote 1] and which he later identified with Ishvara. This resulted in a state which he later described as "the state of mind of Iswara or the jnani. "[web 1][note 3] Six weeks later he left his uncle's home in Madurai, and journeyed to the holy mountain Arunachala, Tiruvannamalai, where he took on the role of a sannyasin and remained for the rest of his life. 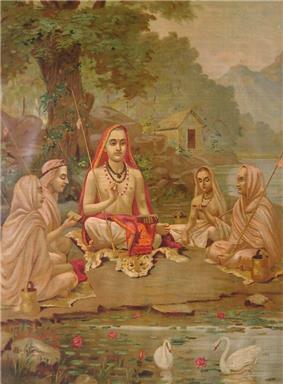 He soon attracted devotees who regarded him as an avatar and came to him for darshan ("the sight of God"), and in later years an ashram grew up around him, where visitors received upadesa ("spiritual instruction") by sitting silently in his company and raising their concerns and questions. Since the 1930s his teachings have been popularised in the west, resulting in worldwide recognition as an enlightened being. Ramana Maharshi was born Venkataraman Iyer on 30 December 1879 in the village Tiruchuzhi near Aruppukkottai, Madurai in Tamil Nadu, South India. His birth fell on Arudra Darshanam day, the day of the Sight of Siva. [web 3] Venkataraman was the second of four children in an orthodox Hindu Brahmin family. His father was Sundaram Iyer (1848–1890), from the lineage of Parashara, and his mother was Azhagammal (1864-1922). He had two brothers Nagaswami (1877–1900) and Nagasundaram (1886–1953), along with a younger sister Alamelu (1887-1953). Venkataraman's father was a court pleader. Both a paternal uncle of his father and his father's brother had become sannyasins. According to Osborne, a wandering ascetic who came begging for food at the house of one his forebears and was refused, had once stated that "thenceforth one out of every generation of his descendants would wander and beg his food," a foreshadowing of the fate of Venkataraman. When Venkataraman was seven he had his upanayana, the traditional initiation of the three upper varnas into Brahmanical learning and the knowledge of Self. He had a very good memory, being able to recall information after hearing it once, an ability he used to memorise Tamil poems. When was about eleven his father sent him to live with his paternal uncle Subbaiyar in Dindigul as he wanted his sons to be educated in the English language so that they would be eligible to enter government service. Only Tamil was taught at the village school in Tiruchuzhi, which he attended for three years. In 1891, when his uncle was transferred to Madurai, Venkataraman and his elder brother Nagaswami moved with him. In Dindigul, Venkataraman attended a Hindu School where English was taught, and stayed there for a year. After his father's death, the family split up; Venkataraman and Nagaswami stayed with Subbaiyar in Madurai. Venkataraman as a young man. Various accounts of this event can be found. The best-known was published by Narasimha Swami in Self Realisation, the biography of Ramana Maharshi published in 1931. [web 1][note 11] Another, somewhat different account of this event is given in the Sri Ramana Leela, the Telugu biography of Ramana that was written by Krishna Bhikshu and published in 1936. [web 6][note 12] According to David Godman, yet another account is given by Ramana in Vichara Sangraham (Self-Enquiry). [web 6][quote 2] At 22 november 1945 he also told about his death-experience to a Bengali Swami. Two accounts of this narrative exist, which slightly differ. Devaraja Mudaliar mentions the arising of a "power" or "force:"
After this event, he lost interest in school-studies, friends, and relations. He was absent-minded at school, "imagining and expecting God would suddenly drop down from Heaven before me. "[web 6] Avoiding company, he preferred to sit alone, absorbed in concentration on this current or force, and went daily to the Meenakshi Temple, ecstatically devoted to the images of the 63 Nayanars and of Nataraja, wanting "the same grace as was shown to those saints,"[web 6] praying that he "should have the same bhakti that they had"[web 6] and "[weeping] that God should give me the same grace He gave to those saints". [web 6] Venkataraman’s elder brother, Nagaswami, was aware of a great change in him and on several occasions rebuked him for his detachment from all that was going on around him. About six weeks after Venkataraman’s absorption into the current or force, on 29 August 1896, he was attempting to complete a homework assignment which had been given to him by his English teacher for indifference in his studies. Suddenly Venkataraman tossed aside the book and turned inward in meditation. His elder brother rebuked him again, asking, "What use is all this to one who is like this? ", referring to his behaviour as a sadhu. I have set out in quest of my Father in accordance with his command. This (meaning his person) has only embarked on a virtuous enterprise. Therefore, no one need grieve over this act. And no money need be spent in search of this. Your college fee has not been paid. Herewith rupees two. Venkataraman boarded a train on 1 September 1896 and travelled to Tiruvannamalai where he remained for the rest of his life. Upon arriving in Tiruvannamalai, Maharshi went to the temple of Arunachaleswara. The first few weeks he spent in the thousand-pillared hall, then shifted to other spots in the temple and eventually to the Patala-lingam vault so that he might remain undisturbed. There, he spent days absorbed in such deep samādhi that he was unaware of the bites of vermin and pests. Seshadri Swamigal, a local saint, discovered him in the underground vault and tried to protect him. After about six weeks in the Patala-lingam, he was carried out and cleaned up. For the next two months he stayed in the Subramanya Shrine, so unaware of his body and surroundings that food had to be placed in his mouth or he would have starved. In February 1897, six months after his arrival at Tiruvannamalai, Ramana moved to Gurumurtam, a temple about a mile from Tiruvannamalai. Shortly after his arrival a sadhu named Palaniswami went to see him. Palaniswami's first darshan left him filled with peace and bliss, and from that time on he served Ramana as his permanent attendant. From Gurumurtam to Virupaksha Cave (1899–1916) to Skandasramam Cave (1916–22), he took care of Ramana. Besides physical protection, Palaniswami would also beg for alms, cook and prepare meals for himself and Ramana, and care for him as needed. In May 1898 Ramana and Palaniswami moved to a mango orchard next to Gurumurtam. Osborne wrote that during this time Ramana completely neglected his body. He also ignored the ants which bit him incessantly. Gradually, despite Ramana's desire for privacy, he attracted attention from visitors who admired his silence and austerities, bringing offerings and singing praises. Eventually a bamboo fence was built to protect him. While living at Gurumurtam temple his family discovered his whereabouts. First his uncle Nelliappa Iyer came and pled with him to return home, promising that the family would not disturb his ascetic life. Ramana sat motionless and eventually his uncle gave up. In September, 1898 Ramana moved to the Shiva-temple at Pavalakkunru, one of the eastern spurs of Arunachala. His mother and brother Nagaswami found him there in December, 1898. Day after day, his mother begged him to return but no amount of weeping and pleading had any visible effect on him. She appealed to the devotees who had gathered around, trying to get them to intervene on her behalf, until one requested that Ramana write out his response to his mother. At this point his deeply saddened mother returned to Madurai. 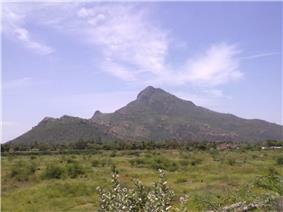 Soon after this, in February 1899, Ramana left the foothills to live on Arunachala itself. He stayed briefly in Satguru Cave and Guhu Namasivaya Cave before taking up residence at Virupaksha Cave for the next 17 years, using Mango Tree cave during the summers, except for a six-month period at Pachaiamman Koil during the plague epidemic. In 1902, a government official named Sivaprakasam Pillai, with writing slate in hand, visited the young Swami in the hope of obtaining answers to questions about "How to know one's true identity". The fourteen questions put to the young Swami and his answers were Ramana's first teachings on Self-enquiry, the method for which he became widely known, and were eventually published as 'Nan Yar? ', or in English, 'Who am I?’. Many visitors came to him and some became his devotees. Kavyakantha Sri Ganapati Sastri,[note 18] a Vedic scholar of repute in his age with a deep knowledge of the Srutis, Sastras, Tantras, Yoga, and Agama systems, but lacked the personal darshan of Shiva, came to visit Ramana in 1907. After receiving upadesa from him on self-enquiry, he proclaimed him as Bhagavan Sri Ramana Maharshi. Ramana was known by this name from then on. Ganapati Sastri passed on these instructions to his own students, but later in life confessed that he had never been able to achieve permanent Self-abidance. Nevertheless, he was highly valued by Ramana Maharshi and played an important role in his life. In an appendix to Self realisation Narahamsi wrote that in 1912, while in the company of disciples, his vision was suddenly impaired three times by a "white bright curtain" which covered a part of his vision. At the third instance his vision was shut out completely, while his "head was swimming," and he felt his heart stop beathing and his breating seizing, while his skin turned blue, as if he was dead. This lasted for about ten or fiveteen minutes, whereafter "a shock passed suddenly through the body," and his blood circulation and his respiration returned. In response to "strange accounts" about this event, he later said that it was a fit, which he used to have occasionally, and did not bring on himself. According to Osborne, it "marked the final completion of Sri Bhagavan’s return to full outer normality." 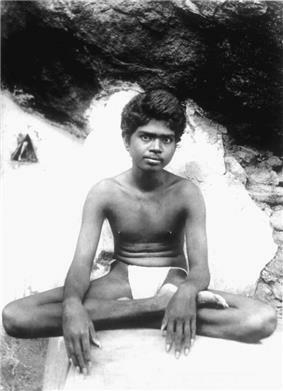 In 1916 his mother Alagammal and younger brother Nagasundaram joined Ramana at Tiruvannamalai and followed him when he moved to the larger Skandashram Cave, where Bhagavan lived until the end of 1922. His mother took up the life of a sannyasin and Ramana began to give her intense, personal instruction, while she took charge of the Ashram kitchen. Ramana's younger brother, Nagasundaram, then became a sannyasi, assuming the name Niranjanananda, becoming known as Chinnaswami (the younger Swami). During this period, Ramana composed The Five Hymns to Arunachala, his magnum opus in devotional lyric poetry. The first hymn is Akshara Mana Malai. [translation 1] It was composed in Tamil in response to the request of a devotee for a song to be sung while wandering in the town for alms. The Marital Garland tells in glowing symbolism of the love and union between the human soul and God, expressing the attitude of the soul that still aspires. Beginning in 1920, his mother's health deteriorated. On the day of her death, 19 May 1922, at about 8 a.m., Ramana sat beside her. It is reported that throughout the day, he had his right hand on her heart, on the right side of the chest, and his left hand on her head, until her death around 8:00 p.m., when Ramana pronounced her liberated, literally, 'Adangi Vittadu, Addakam' (‘absorbed'). Later Ramana said of this: "You see, birth experiences are mental. Thinking is also like that, depending on sanskaras (tendencies). Mother was made to undergo all her future births in a comparatively short time." Her body was enshrined in a samadhi, on top of which a Siva lingam was installed and given the name Matrbhuteshwara, Shiva manifesting as mother. To commemorate the anniversary of Ramana Maharshi's mother's death, a puja, known as her Aradhana or Mahapooja, is performed every year at the Matrbhuteshwara. 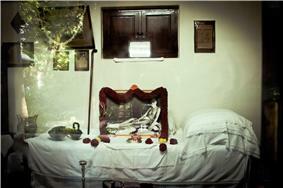 From 1922 till his death in 1950 Ramana lived in Sri Ramanasramam, the ashram that developed around his mother's tomb. 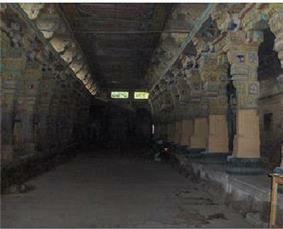 Ramana often walked from Skandashram to his mother's tomb. In December 1922 he didn't return to Skandashram, and settled at the base of the Hill, and Sri Ramanasramam started to develop. At first, there was only one hut at the samadhi, but in 1924 two huts, one opposite the samadhi and the other to the north, were erected. The so-called Old Hall was built in 1928. Ramana lived here until 1949. 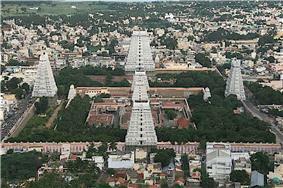 Sri Ramanasramam grew to include a library, hospital, post-office and many other facilities. Ramana displayed a natural talent for planning building projects. Annamalai Swami gave detailed accounts of this in his reminiscences. Until 1938, Annamalai Swami was entrusted with the task of supervising the projects and received his instructions from Ramana directly. I like him greatly because he is so simple and modest, when an atmosphere of authentic greatness lies so palpably around him; because he makes no claims to occult powers and hierophantic knowledge to impress the mystery loving nature of his countrymen; and because he is so totally without any traces of pretension that he strongly resists every effort to canonize him during his lifetime. While staying at Sri Ramanasramam, Brunton had an experience of a "sublimely all-embracing" awareness, a "Moment of Illumination". The book was a best-seller, and introduced Ramana Maharshi to a wider audience in the west. Resulting visitors included Paramahansa Yogananda, Somerset Maugham (whose 1944 novel The Razor's Edge models its spiritual guru after Ramana),[web 11] Mercedes de Acosta and Arthur Osborne, the last of whom was the first editor of Mountain Path in 1964, the magazine published by Ramanashram. In November 1948, a tiny cancerous lump was found on Ramana's arm and was removed in February 1949 by the ashram's doctor. Soon, another growth appeared and another operation was done by an eminent surgeon in March 1949 with radium applied. The doctor told Ramana that a complete amputation of the arm to the shoulder was required to save his life, but he refused. A third and fourth operation were performed in August and December 1949, but only weakened him. Other systems of medicine were then tried; all proved fruitless and were stopped by the end of March when devotees gave up all hope. To devotees who begged him to cure himself for the sake of his followers, Ramana is said to have replied, "Why are you so attached to this body? Let it go" and "Where can I go? I am here." By April 1950, Ramana was too weak to go to the hall and visiting hours were limited. Visitors would file past the small room where he spent his final days to get one final glimpse. He died at 14 April 1950 8:47 p.m..[web 12] At the same time a shooting star was seen, which impressed soem of his devotees of its synchronicity. Ramana Maharshi was, and is, regarded by many as an outstanding enlightened being. He was a charismatic person, and attracted many devotees, some of whom saw him as an avatar and the embodiment of Shiva. Many devotees visited Ramana Maharshi for darshan, the sight of a holy person or God incarnate, which is advantageous and transmits merit. According to Flood, in Indian religions the guru is akin to the image or statue of a deity in the temple, and both possess power and a sacred energy. According to Osborne, Ramana Maharsi regarded giving darshan as "his task in life," and said that he had to be accessible to all who came. Even during his terminal sickness at the end of his life, he demandend to be aproachable for all who came for his darshan. The real feet of Bhagavan exist only in the heart of the devotee. To hold onto these feet incessantly is true happiness. You will be disappointed if you hold onto my physical feet because one day this physical body will disappear. The greatest worship is worshipping the Guru's feet that are within oneself. Bhagavan sat on a rock and said with tears in his eyes that he would never again come to the Ashram and would go where he pleased and live in the forests or caves away from all men. I tried to be free on a third occasion also. That was after mother's passing away. I did not want to have even an Ashram like Skandashram and the people that were coming there then. but the result has been this Ashram [Ramanashram] and all the crowd here. Thus all my three attempts failed. As Kumarila he established the supremacy of the karma marga, as Jnana Sambandar, a poet, he brought bhakti marga close to the people and as Ramana he showed that the purpose of life was to abide in the Self and to stay in the sahaja state by the jnana marga. Palaniswami, Ramana Maharshi's attendant from 1897 to 1918 brought books on Indian religiosity to Ramana, who helped him to better understand these texts. Muruganar (1893–1973), another prominent devotee who lived as Ramana's shadow for 26 years,[web 13] recorded an extensive collection of Ramana's sayings in a work called Guru Vachaka Kovai, "The Garland of Guru's Sayings". [web 14][translation 2] Ramana carefully reviewed this work with Muruganar, modifying many verses to most accurately reflect his teaching, and added in verses. [web 15] Muruganar was also instrumental in Ramana's writing of Upadesa Saram, "The Essence of Instruction", and Ulladu Narpadu, "Forty Verses on Reality". Gudipati Venkatachalam (1894 to 1976), a noted Telugu writer lived the later part of his life and died near Ramana Maharshi's ashram in Arunachalam. 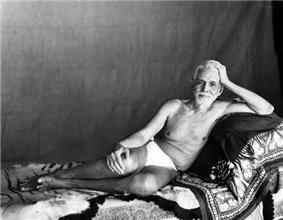 Sri Sadhu Om (1922–1985) spent five years with Ramana and about 28 years with Muruganar. His Advaita Vedanta interpretation of Ramana's teachings on self-enquiry are explained in his book The Path of Sri Ramana – Part One. Suri Nagamma, who wrote a series of letters to her brother in Telugu, describing Ramana's dialogues with devotees over a five years. Each letter was corrected by Ramana before it was sent. O. P. Ramaswamy Reddiyar, an Indian National Congress politician and freedom-fighter, who served as the Premier of Madras from 1947 to 1949. Paul Brunton's writings about Ramana brought considerable attention to him in the West. Major Chadwick, who ran the Veda Patasala during Ramana's time. Arthur Osborne, the first editor of the ashram journal, The Mountain Path. S.S. Cohen, a Jewish born Iraqi who wrote the book Guru Ramana. Ethel Merston, who wrote about Ramana Maharshi in her memoirs. Robert Adams, an American devotee whose book of dialogues Silence of the Heart centres around the teachings of Ramana Maharshi. Mouni Sadhu (Mieczyslaw Demetriusz Sudowski) (17 August 1897 – 24 December 1971), author of spiritual, mystical and esoteric subjects. David Godman, a former librarian at the ashram, who has written about Ramana's teaching and the lives of Ramana's lesser-known attendants and devotees. Ramana Maharshi provided upadeśa ("spiritual instruction") by providing darshan and sitting silently together with devotees and visitors, but also by answering the questions and concerns raised by those who sought him out. Many of these question-and-answer sessions have been transcribed and published by devotees, some of which have been edited by Ramana Maharshi himself. A few texts have been published which were written by Ramana Maharshi himself, or written down on his behalf and edited by him. Ramana Maharshi also provided an example by his own devotion to Shiva, which has been extensively described by his devotees, such as walks around the holy hill Arunachala, in which devotees participated, and his hymns to Arunachala. Ramana used various terms to denote this Self. [note 21] The most frequently used terms were sat-chit-ananda, which translates into English as being-consciousness-bliss; God, Brahman and Siva,[note 22] and the Heart, which is not to be confused with the physical heart, or a particular point in space, but was rather to indicate that "the Self was the source from which all appearances manifested." One evening, devotees asked Sri Ramana to explain the meaning of Shankara's hymn in praise of Dakshinamurti. They waited for his answer, but in vain. The Maharishi sat motionless on his seat, in total silence. Silence is the true upadesa. It is the perfect upadesa. It is suited only for the most advanced seeker. The others are unable to draw full inspiration from it. Therefore, they require words to explain the truth. But truth is beyond words; it does not warrant explanation. All that is possible is to indicate It. How is that to be done? Although he advocated self-enquiry as the fastest means to realisation, he also recommended the path of bhakti and self-surrender (to one's deity or guru) either concurrently or as an adequate alternative, which would ultimately converge with the path of self-enquiry. Though Ramana's answers explain and incorporate elements from Advaita Vedanta, his spiritual life is strongly associated with Shaivism. [note 34] Tamil culture has a long tradition of devotional spiritual practices and non-monastic religious authority, such as the Nayanars and the Siddhas. Shaiva Siddhanta, the Shaivism which is prevalent in Tamil Nadu, combines the original emphasis on ritual fused with an intense devotional tradition expressed in the bhakti poetry of the Nayanars. In contrast to Shankara's Vedanta, which speaks of Maya and sees "this world as a trap and an illusion, Shaivism says it is the embodiment of the Divine". It speaks of "the Goddess Shakti, or spiritual energy, portrayed as the Divine Mother who redeems the material world". When telling these stories, he used to dramatize the characters of the main figures in voice and gesture and seemed to identify himself fully with them. Ramana himself considered God, Guru and Self to be the manifestations of the same reality. [web 27] Ramana considered the Self to be his guru, in the form of the sacred mountain Arunachala, which is considered to be the manifestation of Shiva. Arunachala is one of the five main shaivite holy places in South India, which can be worshipped through the mantra "Om arunachala shivaya namah!" and by Pradakshina, walking around the mountain, a practice which was often performed by Ramana. Asked about the special sanctity of Arunachala, Ramana said that Arunachala is Shiva himself. [note 35] In his later years, Ramana said it was the spiritual power of Arunachala which had brought about his Self-realisation. He composed the Five Hymns to Arunachala as devotional song. On the three occasions Venkataraman (Ramana) referred to himself he used the name Arunachala Ramana. Ramana Maharshi also used to smear his forehead with holy ash, as a token of veneration. In later life, Ramana himself came to be regarded as Dakshinamurthy, an aspect of Shiva as a guru of all types of knowledge, and bestower of jnana. This aspect of Shiva is his personification as the supreme or the ultimate awareness, understanding and knowledge. This form represents Shiva in his aspect as a teacher of yoga, music, and wisdom, and giving exposition on the shastras. 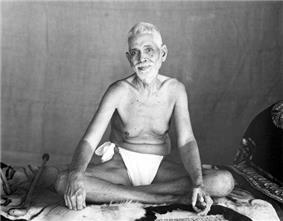 Via his devotees Ramana Maharshi became acquainted with classic texts on Yoga and Vedanta. Ramana himself did not call his insights advaita, but said that dvaita and advaita are relative terms, based on a sense of duality, while the Self or Being is all there is. Oh! Is that so? What really is meant by samsara? Is it within or without? Wife, children and others. Is that all the samsara? What have they done? Please find out first what really is meant by samsara. Afterwards we shall consider the question of abandoning them. People wonder how I speak of Bhagavad Gita, etc. It is due to hearsay. I have not read the Gita nor waded through commentaries for its meaning. When I hear a sloka (verse), I think its meaning is clear and I say it. That is all and nothing more. Already in 1896, a few months after his arrival at Arunachala, Ramana attracted his first disciple, Uddandi Nayinar, who recognised in the him "the living embodiment of the Holy Scriptures". Uddandi was well-versed in classic texts on Yoga and Vedanta, and recited texts as the Yoga Vasistha and Kaivalya Navaneeta in Ramana's presence. In 1897 Ramana was joined by Palaniswami, who became his attendant. Palaniswami studied books in Tamil on Vedanta, such as Kaivalya Navaneeta, Shankara's Vivekachudamani, and Yoga Vasistha. He had difficulties understanding Tamil. Ramana read the books too, and explained them to Palanaswami. As early as 1900, when Ramana was 20 years old, he became acquainted with the teachings of the Hindu monk and Neo-Vedanta teacher Swami Vivekananda through Gambhiram Seshayya. Seshayya was interested in yoga techniques, and "used to bring his books and explain his difficulties". Ramana answered on small scraps of paper, which were collected after his death in the late 1920s in a booklet called Vichara Sangraham, "Self-enquiry". One of the works that Ramana used to explain his insights was the Ribhu Gita, a song at the heart of the Shivarahasya Purana, one of the 'Shaiva Upapuranas' or ancillary Purana regarding Shiva and Shaivite worship. Another work used by him was the Dakshinamurthy Stotram, a text by Shankara. It is a hymn to Shiva, explaining Advaita Vedanta. Ramana gave his approval to a variety of paths and practices from various religions, with his own upadesa (instruction or guidance given to a disciple by his Guru)[web 29] always pointing to the true Self of the devotees. Although many claim to be influenced by him,[web 30] Ramana Maharshi did not publicise himself as a guru, never claimed to have disciples,[web 31] and never appointed any successors. [web 32][web 33] While a few who came to see him are said to have become enlightened through association,[note 36] he did not publicly acknowledge any living person as liberated[web 31] other than his mother at death. Ramana never promoted any lineage. In the 1930s Maharshi's teachings were brought to the west by Paul Brunton in his A Search in Secret India. [note 37] Stimulated by Arthur Osborne, in the 1960s Bhagawat Singh actively started to spread Ramana Maharshi's teachings in the USA. Ramana Maharshi has been further popularised in the west by the neo-Advaita movement, which the students of H. W. L. Poonja have been instrumental in, and which gives a western re-interpretation of his teachings which places sole emphasis on insight alone. It has been criticised for this emphasis on insight alone, omitting the preparatory practices. [note 38] Nevertheless, Neo-Advaita has become an important constituent of popular western spirituality. Gambhiram Sheshayya, Vichāra Sangraham, "Self-Enquiry". Answers to questions, compiled in 1901, published in dialogue-form, republished as essay in 1939 as A Cathechism of Enquiry. Also published in 1944 in Heinrich Zimmer's Der Weg zum Selbst. Navamani Mālai, "The Necklet of Nine Gems". Arunāchala Patikam, "Eleven Verses to Sri Arunachala". Arunāchala Ashtakam, "Eight Stanzas to Sri Arunachala". Arunāchala Pañcharatna, "Five Stanzas to Sri Arunachala". Sri Muruganar and Sri Ramana Maharshi, Upadesha Sāra (Upadesha Undiyar), "The Essence of Instruction". In 1927 Muruganar started a poem on the Gods, but asked Ramana to write thirty verses on upadesha, "teaching" or "instruction". Ramana Maharshi, Ulladu narpadu, "Forty Verses on Reality". Written in 1928. First English translation and commentary by S.S. Cohen in 1931. Ullada Nārpadu Anubandham, "Reality in Forty Verses: Supplement". Forty stanzas, fifteen of which are being written by Ramana. The other twenty-five are translations of various Sanskrit-texts. Ekātma Pañchakam, "Five Verses on the Self". Written in 1947, on request of a female devotee. All thse texts are collected in the Collected works. Devaraja Mudaliar, A. (2002), Day by Day with Bhagavan. From a Diary of A. DEVARAJA MUDALIAR. (Covering March 16, 1945 to January 4, 1947) (PDF), Talks recorded between 1945 and 1947. Paul Brunton (1935), A Search in Secret India. This book introduced Ramana Maharshi to a western audience. Cohen, S.S. (2003). Guru Ramana. Sri Ramanashram. First published 1956. Chadwick, Major A. W. (1961). A Sadhu's Reminiscences of Ramana Maharshi (PDF). 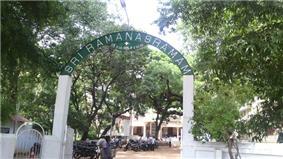 Sri Ramanashram. Nagamma, Suri (1973). Letters from Ramanasram by Suri Nagamma. Tiruvannamalai: Sriramanasasram. Who is Sri Ramana... Who am I? ^ Bhagavan means God, Sri is an honorific title, Ramana is a short form of Venkataraman, and Maharshi means 'great seer' in Sanskrit. The name was given to him in 1907 by one of his first devotees, Ganapati Muni. Regarding "spirit possession" in Tamil culture, Lynn Foulston notes: "Possession is also a prominent feature of local worship in Tamil Nadu, and the term for it, iranku, means to 'descend'. The person on which the deity is thought to have descended is then referred to as a camyati, or 'god-dancer'." 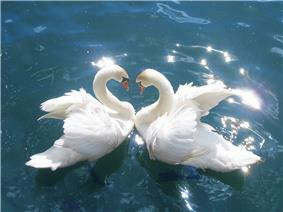 ^ Heinrich Zimmer uses the term "the intuition of the enlightened." Ramana, as cited by Zimmer: "When I later in Tiruvannamalai listened, how the "Ribhu Gita" and such sacred texts were read, I caught these things and discovered that these books named and analysed, what I before involuntarily felt, without being able to appoint or analyse. In the language of these books I could denote the state in which I found myself after my awakening as "cleaned understanding" (shuddham manas) or "Insight" (Vijñāna): as 'the intuition of the Enlightened'". ^ The phrase ‘incomplete practice from a past birth clinging to me’ includes the Tamil term vittakurai which the Tamil Lexicon defines as ‘Karma resulting from acts performed in a previous birth, and which are considered to be the cause of progress in the current birth’. The implication is that some spiritual practice performed in a previous life carried forward and drew the young Venkararaman into states of absorption in which he was unaware of either his body or his surroundings. ^ Brunton's statement is at odds with all other sources on Ramana Maharshi, including his own accounts, that he underwent a life-changing event at age sixteen. ^ The Periyapuranam is considered a fifth Veda in Tamil and immediately took its place as the twelfth and the last book in the Saiva canon. It commemorates the golden age of the Cholas. ^ See Saint Sekkizhar’s Periya Puraanam, translated by R. Rangachari, published by Sri Ramanasramam, 2008, ISBN 81-8288-086-6. ^ Tamil Shaivism resulted from a merger of the Tamil bhakti Shaivism of the Nayanras with Tirumular, (ca. 12th century CE), one of the 63 Nayanars and one of the 18 Siddhars. His main work, the Tirumantiram, forms a part of the key text of the Tamil Shaiva Siddhanta, the Tirumurai. Later authors, under the influence of Advaita Vedanta, also voiced a non-dualist understanding of Shaivism which still exists today. This non-dualistic approach was furthered by the idea that Shiva devotees have to "melt" or "merge" with Shiva. ^ a b Osborne explicitly mentions the Meenakshi Temple at Madura, and situates the awakening of this "new current of awareness" prior to Ramana Maharshi's death experience. Other biographical accounts don't mention this episode. ^ According to David Godman, the date 17 July 1896 is based on astrology. Whether Venkataraman's awakening truly occurred on 17 July 1896, or rather, on a nearby date either side of the 17th, is unknown. However, it is known that Venkataraman's awakening did take place at some point in the middle of July of 1896. ^ Narasimha Swami came to the Ashram in 1925; his biography of Ramana was published in 1931. In 1930, over a period of six weeks, Narasimha Swami had a series of conversations with Ramana on this experience. He summarised these conversations in his own words, which can be found in Self Realisation. Two records of these conversations were published in The Mountain Path in 1981, and provide additional information on this event. They start with the onset of the avesam, "current" or "force. This onset is omitted in Self-Realisation, and avesam is translated as "Spirit." ^ Rama P. Coomaraswamy: "[Krama-mukti is] to be distinguished from jîvan-mukti, the state of total and immediate liberation attained during this lifetime, and videha-mukti, the state of total liberation attained at the moment of death." See [web 9] for more info on "gradual liberation". ^ Literally, "One who has poetry in his throat". ^ See Glimpses of the Life and Teachings of Bhagavan Sri Ramana MaharshiFrank H. Humphreys, for Humphreys writings on Ramana Maharshi. ^ According to David Godman, each term signifies a different aspect of "the same indivisible reality." ^ According to Krishna Bhikshu, an early biographer of Ramana Maharshi, "[a] new path for attaining moksha was indicated here. Nobody else had discovered this path earlier." According to David Frawley, "atma-vichara" is the most important practice in the Advaita Vedanta tradition, predating its popularisation by Ramana Maharshi. [web 20] It is part of the eighth limb of Patanjali's Yoga Sutras, which describes the various stages of samadhi. Meditation on "I-am-ness" is a subtle object of meditation in savikalpa samadhi. It is also described in the Yoga Vasistha, a syncretic work which may date from the 6th or 7th century CE, and shows influences from Yoga, Samkhya, Saiva Siddhanta and Mahayana Buddhism, especially Yogacara. The practice is also well-known from Chinese Chán Buddhism, especially from Dahui Zonggao's Hua Tou practice. ^ According to Sadu Om, self-enquiry can also be seen as 'Self-attention' or 'Self-abiding'. ^ Ramana Maharshi: "Liberation (mukti) is the total destruction of the I-impetus aham-kara, of the "me"- and "my"-impetus (mama-kara)". ^ Jung wrote the foreword to Heinrich Zimmer's Der Weg zum Selbst, "The Path to the Self" (1944), an early collection of translations of Ramana's teachings in a western language. ^ Michaels uses Bourdieu's notion of habitus to point to the power of "culturally acquired lifestyles and attitudes, habits and predispositions, as well as conscious, deliberate acts or mythological, theological, or philosophical artifacts and mental productions" in his understanding of Hinduism. ^ Edwards notes the pervading influence of western , and Zen Narratives for a similar romantisation of Zen and its archetypal Rōshi. ^ Shankara himself was said to be a shaivite, or even a reincarnation of Shiva. ^ Brunton had been a member of the Theosophical Society, which searched for ancient wisdom in the east, and the Society was a major force in the exposure of the west to Asian spirituality. One of its salient features was the belief in "Masters of Wisdom". The Theosophical Society also spread western ideas in the east, aiding a modernisation of eastern traditions, and contributing to a growing nationalism in the Asian colonies. The Theosophical Society had a major influence on Buddhist modernism and Hindu reform movements, and the spread of those modernised versions in the west. The Theosophical Society and the Arya Samaj were united from 1878 to 1882, as the Theosophical Society of the Arya Samaj. Along with H. S. Olcott and Anagarika Dharmapala, Blavatsky was instrumental in the Western transmission and revival of Theravada Buddhism. ^ David Godman: "Because some of the interpreters were not completely fluent in English some of the transcriptions were either ungrammatical or written in a kind of stilted English which occasionally makes Sri Ramana sound like a pompous Victorian." ^ David Godman: "Many people have reported similar unexpected experiences but they are almost invariably temporary. In Venkataraman’s case the experience was permanent and irreversible. From that time on his consciousness of being an individual person ceased to exist and it never functioned in him again." ^ Fort 1998, p. 134-151. ^ a b c d e f g h Godman 1985. ^ Osborne 2002, p. 5-6. ^ a b Godman 1985, p. 4. ^ Zimmer 1948, p. 23. ^ a b Osborne 1959. ^ Godman 1985, p. 5. ^ a b Zimmer 1948. ^ a b c Osborne 2002. ^ a b c Osborne 2002, p. 3. ^ Bhikshu 2004, p. ch2. ^ a b c Bhikshu 2004, p. ch3. ^ Narasimha Swami 1993, p. 21. ^ Osborne 2002, p. 4. ^ a b Zimmer 1948, p. 14. ^ a b Brunton & Venkataramiah 1984. ^ a b Sharma 1993, p. 88. ^ a b c Natarajan 2006. ^ Bhikshu 2004, p. ch4. ^ a b c Osborne 2002, p. 5. ^ a b Melton & Baumann 2010, p. 2809. ^ Osborne 2002, p. 6. ^ Osborne 2002, p. 7. ^ Dehejia 1988, p. 65. ^ a b Smith 2012, p. 137. ^ Foulston 2012, p. 621. ^ Zimmer 1948, p. 18. ^ Narasimha Swami 2003, p. 20, footnote. ^ Osborne 2002, p. 13. ^ Osborne 1970, p. 25. ^ a b Sri Ramanasramam 1981. ^ Osborne 1970, p. 30. ^ a b c Osborne 1970, p. 35. ^ a b Osborne 2002, p. 31. ^ a b Osborne 1970, p. 36. ^ Osborne 1970, p. 37. ^ a b c Sadhu Om 2005. ^ Sri Ramanasramam 1981, p. 34. ^ Ebert 2006, p. 71. ^ Natarajan 2006, p. 27-29. ^ a b c Bhikshu 2012, p. ch.22. ^ Sadhu Om 2005, p. 15. ^ a b Osborne 2002, p. 106, 111. ^ Narahamsi 1993, p. 268-269. ^ Narahamsi 1993, p. 269. ^ Osborne 2002, p. 60-62. ^ Godman 2000, p. 140. ^ Zimmer 1948, p. 44. ^ Ebert 2006, p. 107-114. ^ Ebert 2006, p. 109. ^ a b c Ebert 2006, p. 140. ^ Brunton 1994, p. 289. ^ Brunton 1994, p. 292-294. ^ Brunton 1994, p. 301. ^ Brunton 1994, p. 302. ^ Brunton 1994, p. 304-305. ^ Brunton 1994, p. 310. ^ Forsthoefl 2005, p. 38. ^ Sivaramkrishna 2008, p. 16. ^ Thompson 2011, p. 43. ^ a b c Osborne 2002, p. 139. ^ Hinduism Today 2007, p. 149-151. ^ Ebert 2006, p. 152-153. ^ a b Ebert 2006. ^ Hinduism Today 2007, p. 151-152. ^ Ebert 2006, p. 124-125. ^ Ebert 2006, p. 125. ^ a b Ebert 2006, p. 126. ^ a b Frawley 1996, p. 92-93. ^ a b Paranjape 2009, p. 57-58. ^ Bhikshu 2004, p. ch.49. ^ Osborne 2002, p. 34. ^ Rao 1991, p. 99. ^ Osborne 2002, p. 101. ^ Osborne 2002, p. 103-104. ^ Ganesan 1993, p. 21. ^ a b c Godman 1985, p. 7. ^ Godman 1985, p. 13. ^ a b Godman 1985, p. 12. ^ a b Venkataramiah 2000, p. 463. ^ Venkataramiah 2000, p. 308. ^ Venkataramiah 2000, p. 462. ^ Venkataramiah 2000, p. 467. ^ Godman 1985, p. 51-52. ^ Godman 1985, p. 60. ^ Ebert 2006, p. 211-213. ^ Ebert 2006, p. 144. ^ Ebert 2006, p. 212. ^ Venkatramaiah 2000, p. 433. ^ Sadhu Om 2005, p. 136. ^ Godman 1985, p. 6&7. ^ Maehle 2007, p. 178. ^ Chapple 1984, p. xii. ^ a b Venkataramiah 2000, p. 363. ^ a b Zimmer 1948, p. 195. ^ a b c d Wehr 2003. ^ Zimmer 1948, p. 53-55. ^ a b Jung 1948, p. 226-228. ^ Michaels 2004, p. 7. ^ Edwards 2012, p. 98-99. ^ Edwards 2012, p. 99. ^ Dalal 2011, p. 371. ^ Peterson 1989, p. 3-4. ^ Stein 2010, p. 117-118. ^ Davidson 2004, p. 2-4. ^ a b Shankarananda 2011. ^ Narasimha Swami 1993, p. 17. ^ a b c Ebert 2006, p. 147. ^ a b c d Cornille 1992, p. 83. ^ Poonja 2000, p. 59. ^ a b Godman 1985, p. 2. ^ Frawley 2000, p. 121-122. ^ Venkataramiah 1936, p. Talk 143. ^ Letters from Sri Ramanasramam 1973. ^ Narasimha Swami 1993, p. 24. ^ Venkataramiah 2000, p. 315. ^ Ebert 2006, p. 45-46. ^ a b Ebert 2006, p. 46. ^ Ebert 2006, p. 51-52. ^ Ebert 2006, p. 53. ^ a b Ebert 2006, p. 77. ^ Zimmer 1948, p. 192. ^ Forsthoefel 2005, p. 37. ^ Osborne 1959, p. 74. ^ a b Lucas 2011, p. 99. ^ Gilchrist 1996, p. 32. ^ a b Lucas 2011, p. 94. ^ Lucas 2011, p. 109. ^ Ebert 2006, p. 78. ^ a b Renard 1999, p. 19-20. ^ Renard 1999, p. 24. ^ Renard 1999, p. 25. ^ Renard 1999, p. 26. ^ Renard 1999, p. 27. ^ a b c d e "Self-enquiry". Retrieved 29 December 2012. ^ Self Inquiry (19 June 2012). 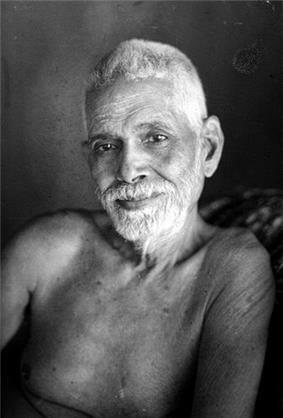 "Sri Ramana Maharshi's Aksharamanamalai.m4v". YouTube. Retrieved 4 August 2012. Venkataramiah, Muranagala (2006), Talks With Sri Ramana Maharshi (PDF), Sri Ramanasramam records of upadesa, instructions and answers by Ramana Maharshi in response to visitors. Friesen, J. Glenn (2006). "Ramana Maharshi: Hindu and non-Hindu Interpretations of a jivanmukta" (PDF).